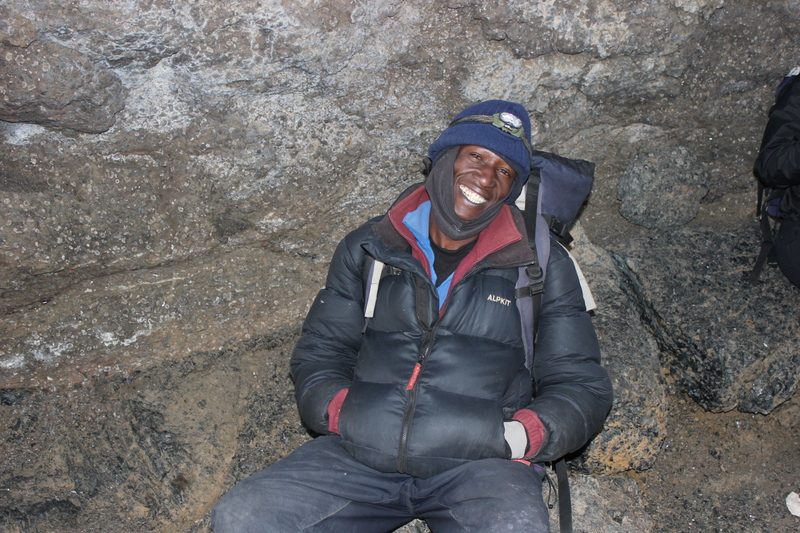 Our hike to the Roof of Africa was finally upon us, and after a midnight snack of sweet tea and biscuits we made our way onwards and upwards – direction Uhuru Peak. 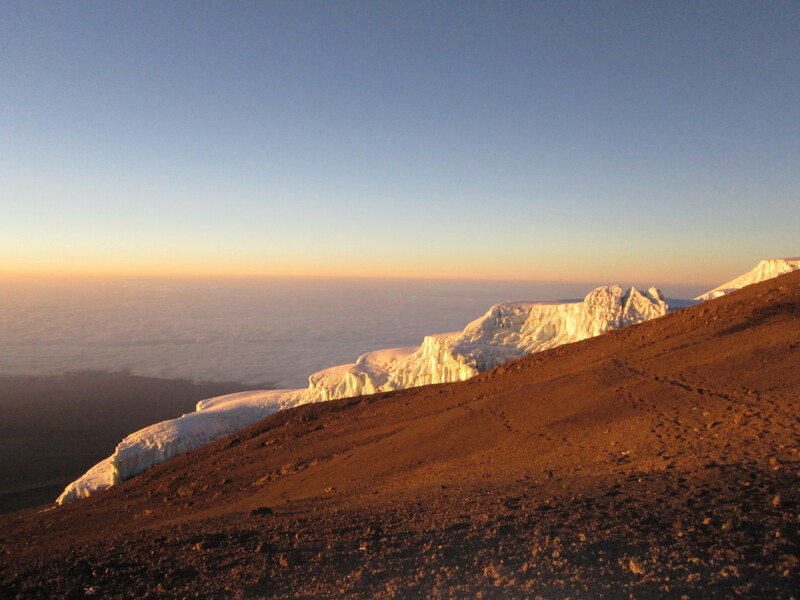 The evening air was cold but not unbearable, and as we climbed Mount Kilimanjaro under a Full Moon, we could see our path clearly and didn’t need to use the overpowering lights of our headlamps. 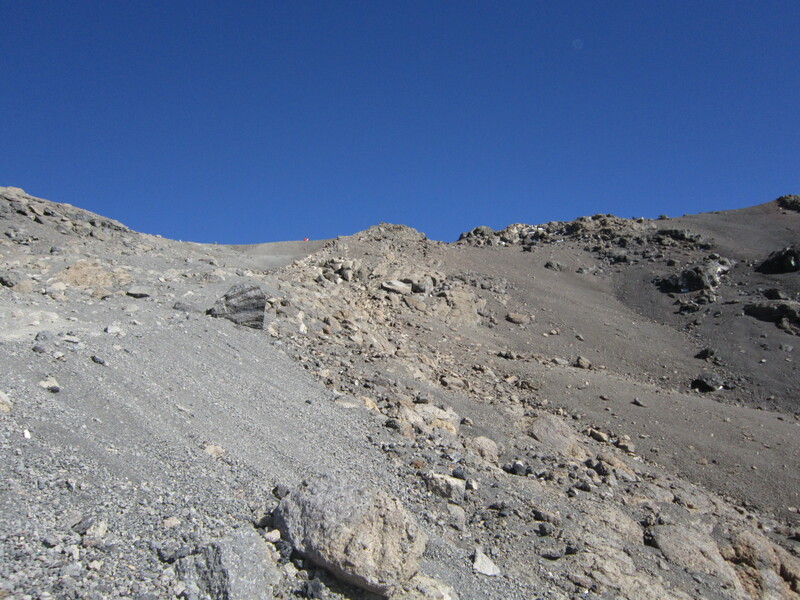 With uneven terrain and deep layers of scree, the path to Stella Point is challenging and quite literally breathtaking. 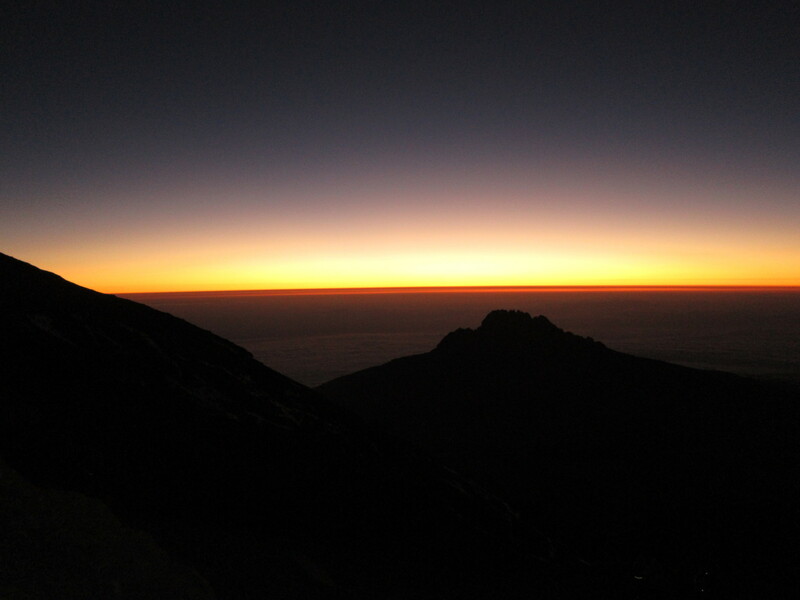 Many hikers charged on ahead of us, only to be found several hours later collapsed on the floor – so we are glad we took it slow, and after hiking for around five and half hours, the pink glow of the sunrise brought not only hope, but also much-needed warmth to our tired and aching bones. 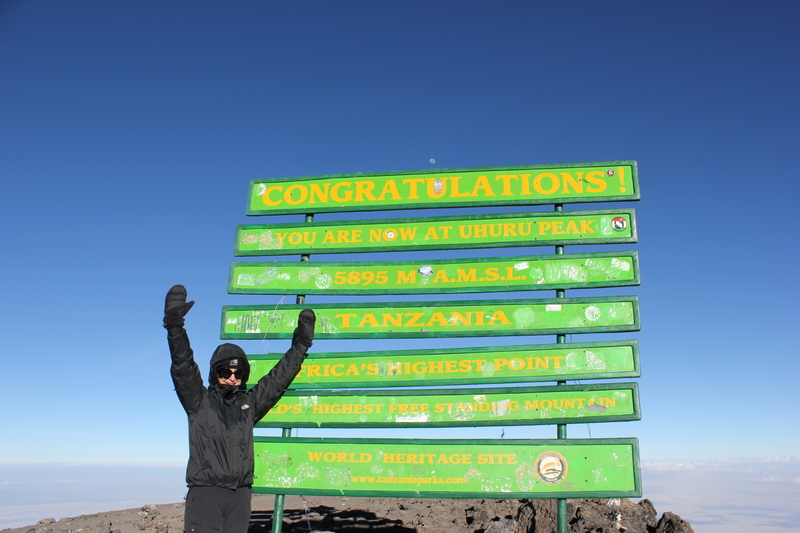 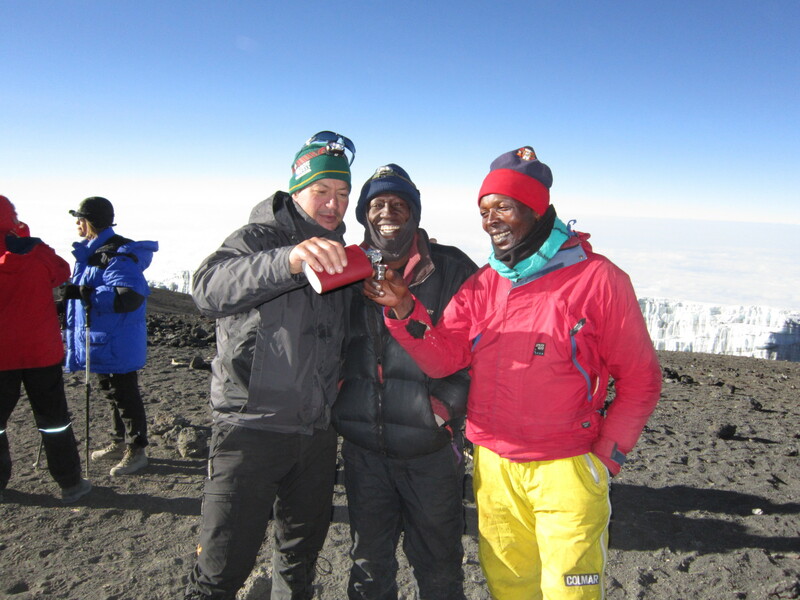 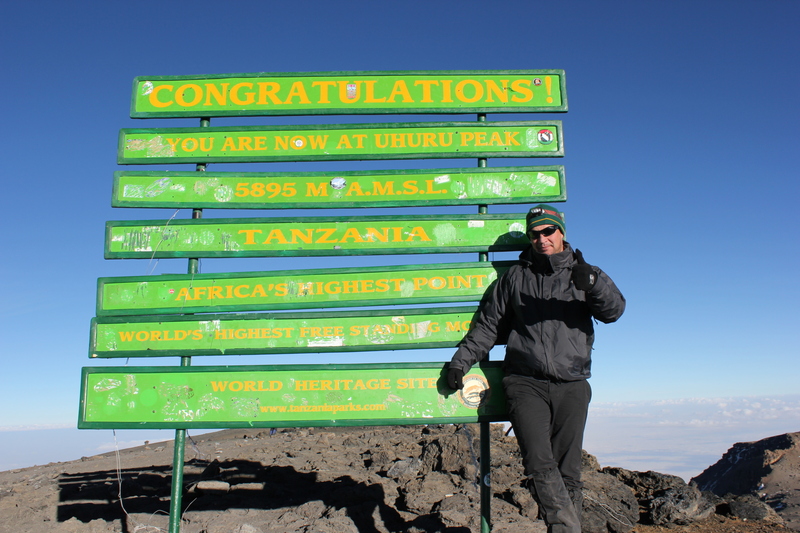 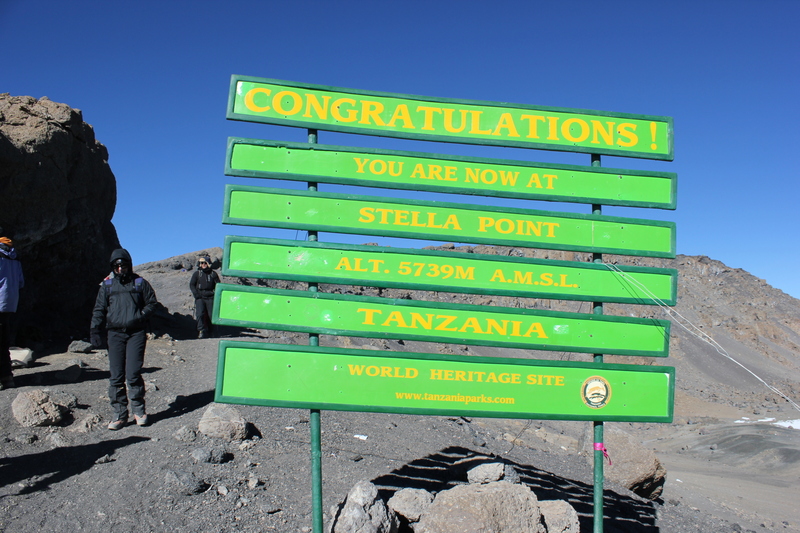 The Roof of Africa, the highest mountain in Africa, Mount Kilimanjaro 5895-metres above sea level – We did it! 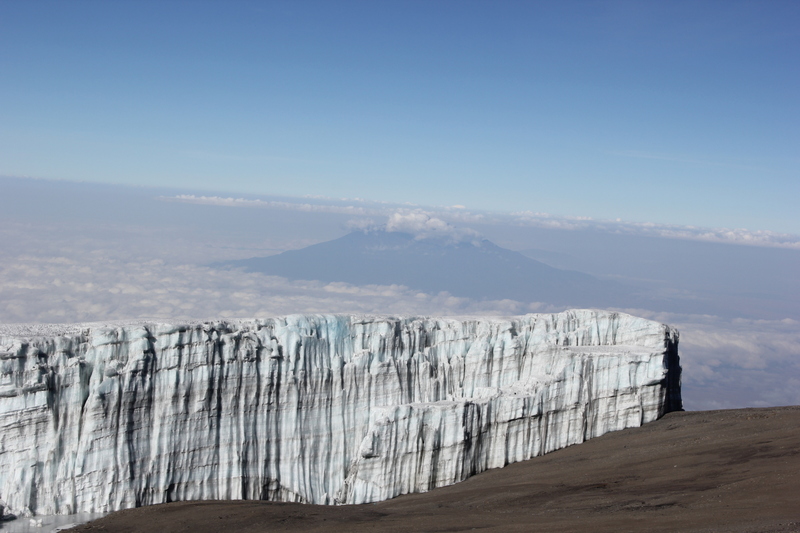 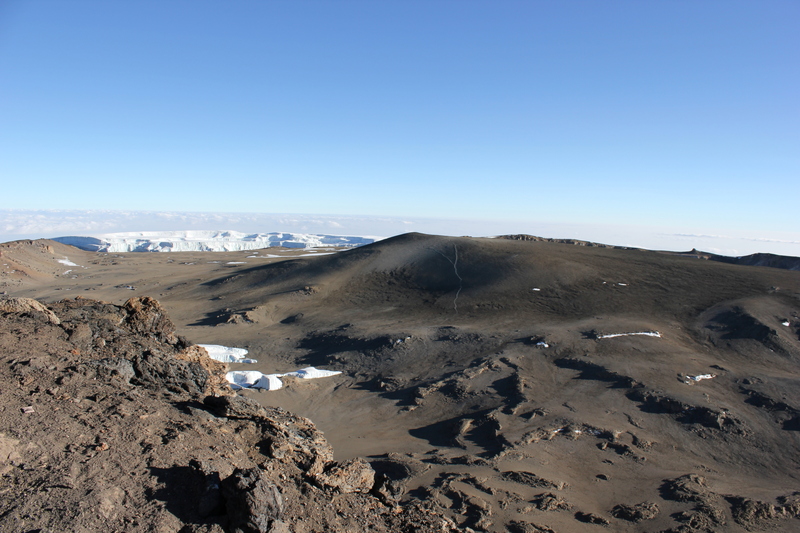 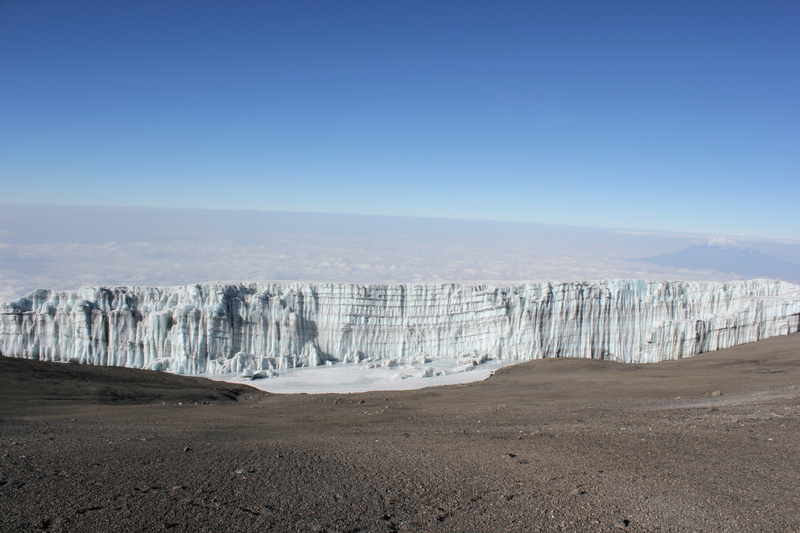 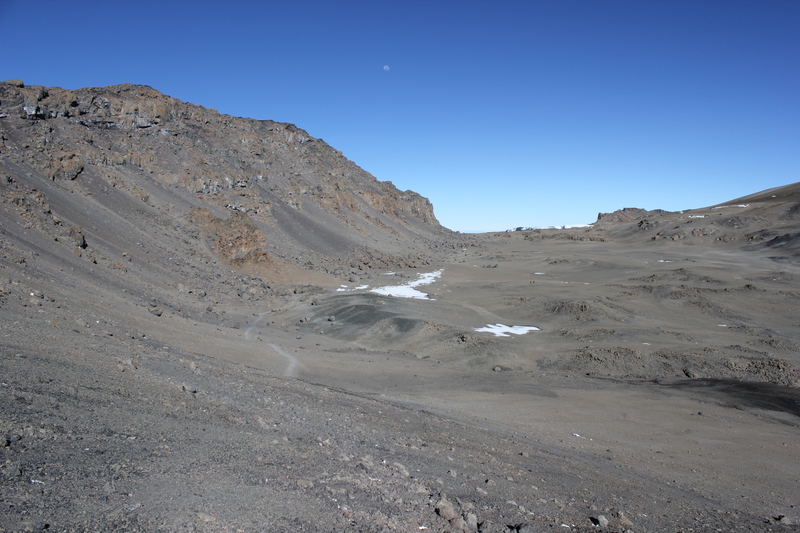 Next Post A Photographic Journey of Mount Kilimanjaro – Day 7 – A Long Way Down…!